Village Hotel Gym in Swindon is one of the best gyms in the Wiltshire. The club in SN5 offers a brand new gym boasting state-of-the-art cardio machines, such as treadmills, cross trainers and bikes. Their resistance equipment range includes the lat pull down and chest press to name a few, to ensure you get a well-rounded workout session. The free weight area is loaded with various weight training equipment and handy stretching areas. The gym also offers a great variety of group exercise classes, ask more about these from the staff at the gym directly. 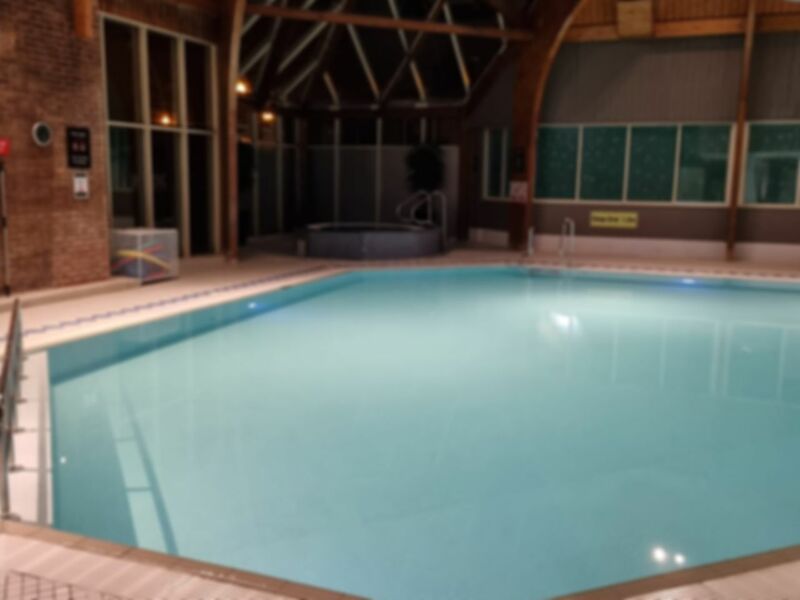 Why not dip in to the 13m heated swimming pool to relax or practice lengths. You'll also have access to the sauna, steam room and spa pool. Great gym but the jacuzzi is a little small for my liking (more than 4 people would be quite uncomfortable and end up touching other people's legs). I've been doing spinning for years and this is the best class I've ever experienced. I did a Les Mills RPM class and the instructor was engaging (not shouting, like most instructors do), energetic and motivating! A nice gym, staff where very friendly. It was quite busy around 7pm but by 8pm it was quiet. Pool is very small but pleasant. The jacuzzi is lush and was popular. The steam room had hot water dripping from the ceiling but was still pleasant. The changing rooms are ok but we’re a little dirty.